Britain's filthy air kills 50,000 people a year – more than obesity, passive smoking or traffic accidents, a damning report by MPs has said. Ministers have been rebuked for failing to tackle the lethal problem, risking millions of pounds in fines for failing to meet EU quality standards. MPs on the Environmental Audit Committee warned that climate-change targets were even exacerbating air pollution. The Government has encouraged people to drive diesel cars which were more fuel efficient but created more particulates, while the introduction of biomass boilers in urban areas also led to air pollution. Poor air quality is linked to respiratory illness, heart disease and asthma, conditions which can dramatically lower life expectancy. On average people across the UK lose seven to eight months of their lives because of filthy air. But in pollution hotspots, that rises to eight or nine years. Despite the devastating consequences, the Government is putting very little effort into reducing air pollution compared to its drive to cut smoking, alcohol misuse and obesity, MPs on the Environmental Audit Committee said. He added that much more needed to be done to save lives and reduce the ‘enormous burden’ air pollution placed on the NHS. The UK is also at risk of multimillion-pound fines from Brussels for missing air quality targets, the committee said. 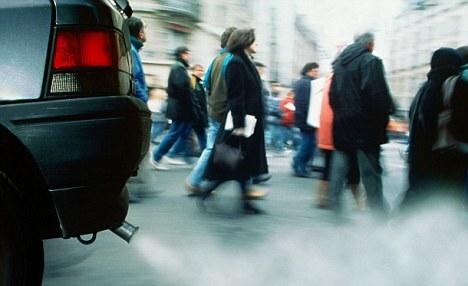 In towns and cities, 70 per cent of pollution was caused by transport, which linked to the most health problems. During the 2003 heat wave, 21 to 38 per cent of excess deaths were attributed to air pollution. The committee called for the Government to make air quality a much higher priority, to raise awareness and educate the public on the dangers and how to minimise their exposure to pollution. Wheat yields in the south of England had been depleted by up to 15 per cent, highlighting the costs to agriculture and wildlife from air pollution. While overall emissions from transport had come down from a decade ago, progress on reducing transport pollution further had stalled. MPs called for more research on the impact of particulates related to tyres and brakes hitting the road surface. What is positive soil pollution?